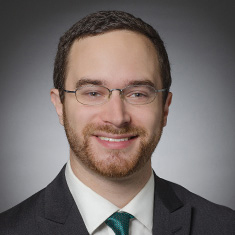 Joshua Druckerman’s practice encompasses privacy, intellectual property, technology transactions, counseling and litigation, with a particular focus on domestic and international privacy and data security matters. He is a Certified Information Privacy Professional (CIPP/US), credentialed by the International Association of Privacy Professionals. Joshua assists clients in responding to and recovering from security incidents and data breaches. Drawing on this experience, he also advises clients on prospective data protection measures, counseling on privacy and cybersecurity policies and practices, implementing and testing incident response plans and breach preparedness, and addressing external and internal risks through policies and third-party risk management processes. Joshua counsels clients on technology transactions, including software-as-a-service (SaaS), cloud services and ecommerce agreements, and advises on the privacy and security impacts of corporate transactions and acquisitions. In this capacity, he serves clients in a range of industries, including health care, legal services, telecommunications, hospitality, fashion, financial services and aviation. In addition, Joshua represents clients in state and federal courts and in arbitration and mediation proceedings, with experience in copyright, trademark and trade secret matters. He has particular experience with intellectual property matters in the employment context, including work-made-for-hire, non-compete litigation and trade secret misappropriation claims involving employees.